Sun Peaks, Canada's Second Largest Ski Resort, is about to become even bigger and better with a $60 million investment plan to enhance the overall guest experience and improve mountain access. The resort is taking big strides and making significant improvements to the parts of the resort that really matter to visiting skiers. A major part of this initiative is a brand new four passenger, fixed grip chairlift to be added in the East Village area of the resort, allowing more convenient ski access to the main village. For those who have been lucky enough to have skied Sun Peaks will be familiar with the main Morrisey Express lift that services fantastic terrain. The new chairlift, due to open in December 2018, will be based adjacent to the Morrisey Express, and rise over existing ski terrain to the top of East Village Ski Way. Say hello to more easily accessible family-friendly blue runs, and fantastic gladed tree skiing! The Sundance Express, the most popular chairlift at the resort, will also receive some upgrades and additional new carriers which will increase the lift capacity by a whopping 30%! 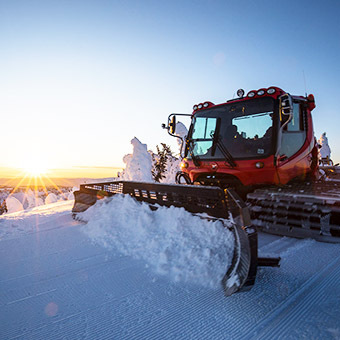 You can also expect to experience even better corduroy turns, with two new snow cats being added to the fleet (which are already responsible for the renowned exceptional grooming at Sun Peaks). 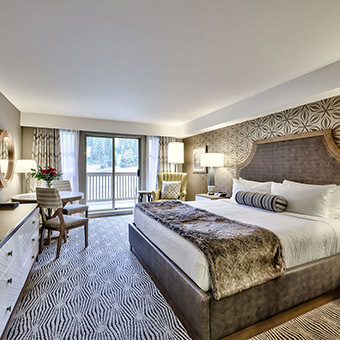 Lodging-wise, the ever popular Sun Peaks Grand is receiving a complete guestroom makeover, perfect for those seeking quiet luxury in a wonderfully contemporary space. You can also expect new ski-in ski-out luxury townhomes at the Village Walk and Echo Landing, providing more accommodation options for families and fantastic skier access to the slopes. 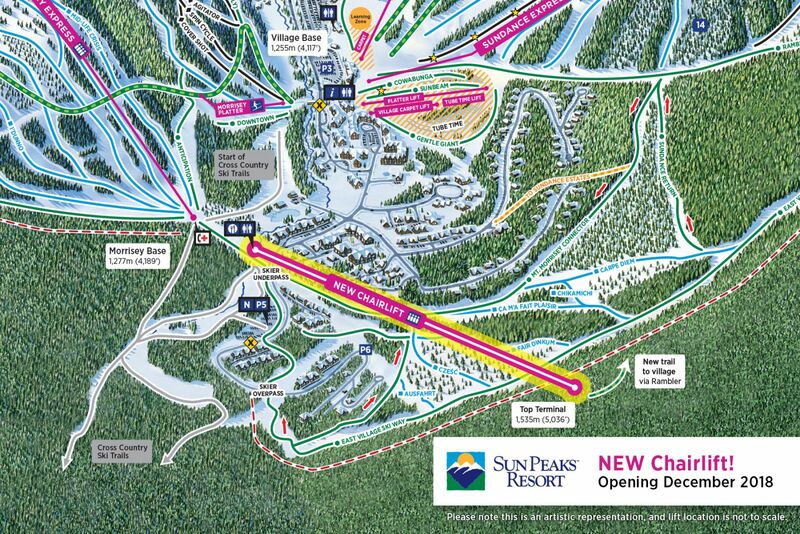 Overall, it's a impressive (and bold) step forward by Sun Peaks Resort as they continue to move forwards as one of the leading mountain resort destinations in Canada.